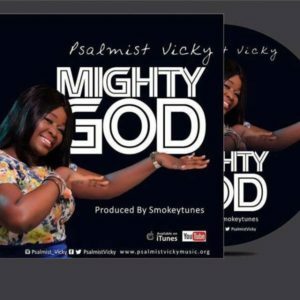 Psalmist Vicky is an affable Uk based Inspirational Singer/Songwriter and Recording Artiste, debuts another single ‘ Mighty God’.The song describes the greatness of God, and his unchanging ways even in the age past. She hails from Delta State Nigeria an Itsekiri to be precise. She started writing songs since she was 16. She’s known for her Sonorous voice and the gift of writing songs and was coined ‘The Psalmist’. She took up the journey into production in 2015 and has successfully produced an EP and a Music Video. She got the Nigma Award for best Jazz Artiste of year 2015 with the first Single Oba Alaye.